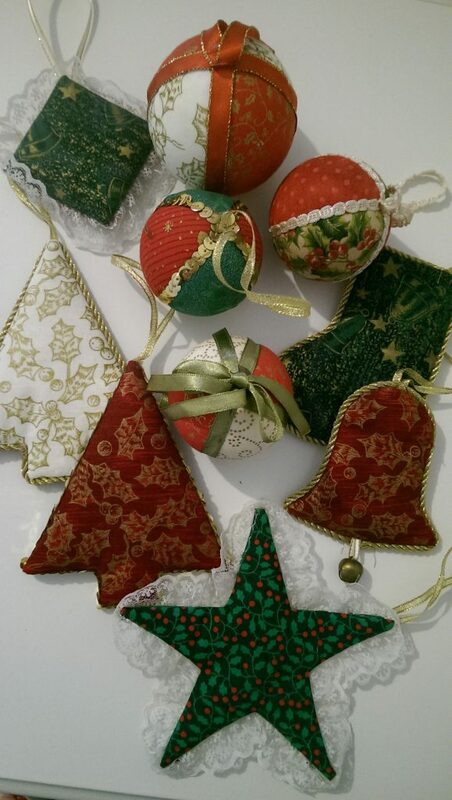 One of the things I enjoy doing at this time of year is making my own Christmas decorations. It can be an inexpensive way to decorate, and you get to create something totally unique to your home and in any colours you like. You can also get the kids to make some too as a fun pre-Christmas activity. 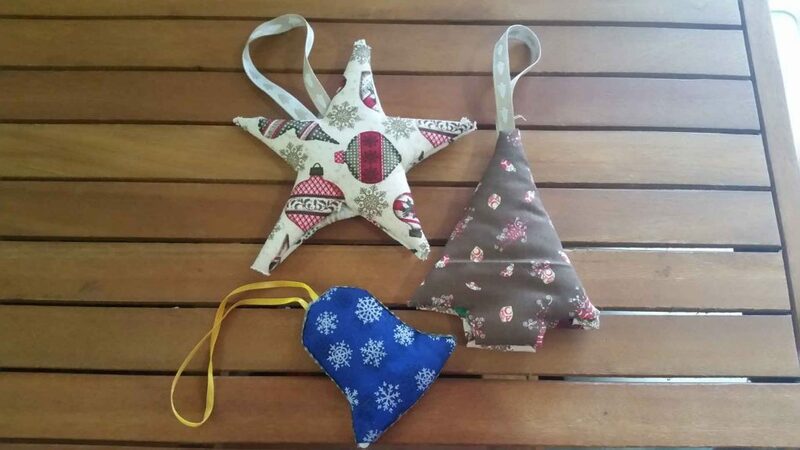 Cut any type of shape you like out of the cardboard, like stars, Christmas trees, stockings and bells. You’ll need to cut out two pieces of cardboard per decoration. Glue some wadding onto each piece of cardboard, and trim to size. Cover the wadding with a piece of fabric that is cut about 2cm bigger than the cardboard. Fold the fabric over the wadding and glue at the back (you may need to make some small snips with scissors along the fabric if you’re stretching it around a curve). Cut a piece of ribbon and make a loop, then glue it to the top of one side of the ornament (on the cardboard side). Now glue the two sides together (fabric side out) and you’re done. If you want, you can glue some cord around the edge. Just let the glue dry completely before hanging on the tree. Score the Styrofoam balls in quarters using a sharp knife or Stanley knife. You should only need to go about 5mm deep. Cut four pieces of fabric just large enough to cover each segment. Using a butter knife, carefully push the edges of the fabric into the cut, taking care to keep the fabric taught (cut off any excess fabric). Repeat for the remaining sections. 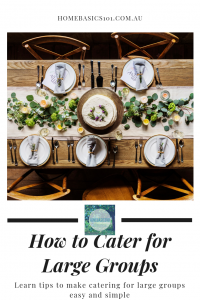 You can then use ribbon, lace or cord to cover where the materials meet to give it a smooth finish. Don’t forget to glue a ribbon loop at the top so you can hang it from the tree. 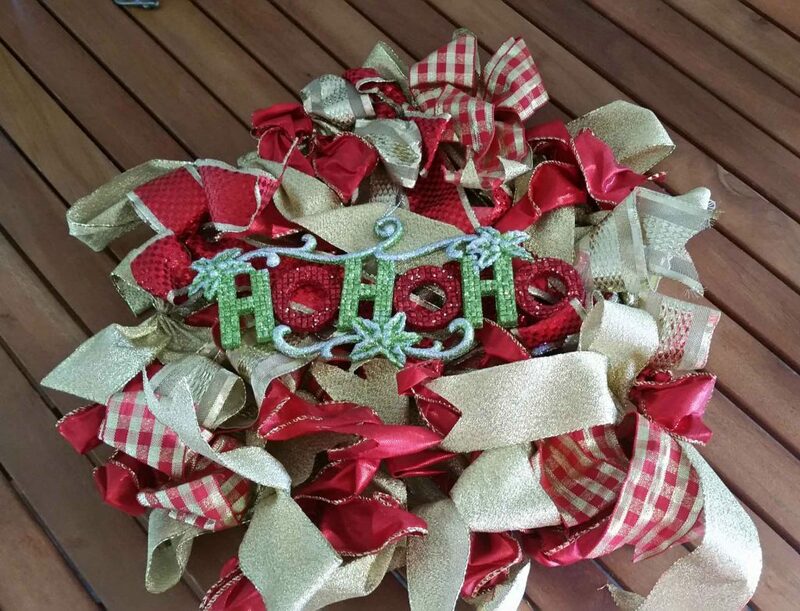 This project is so ridiculously easy to make, but adds such a wonderful touch to your home at Christmas. 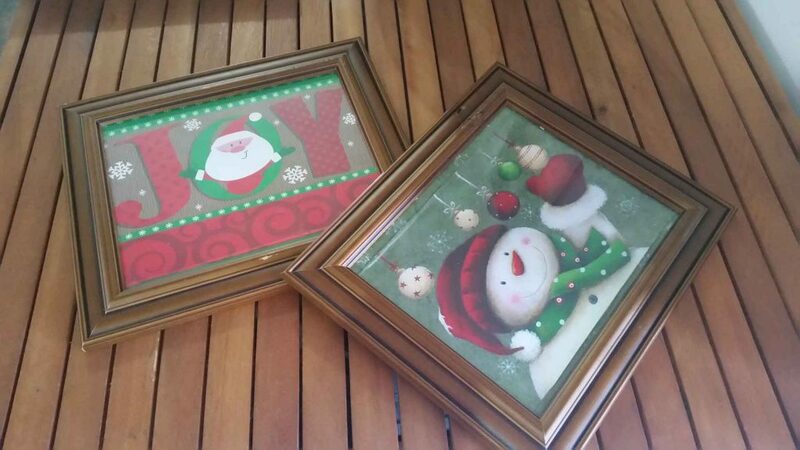 You can swap the frames with your regular frames that you already have on the walls, or just place them on shelves along with your regular Christmas decorations. All you’ll need are some picture frames (any spare ones you have lying around the house), and something to fill it. 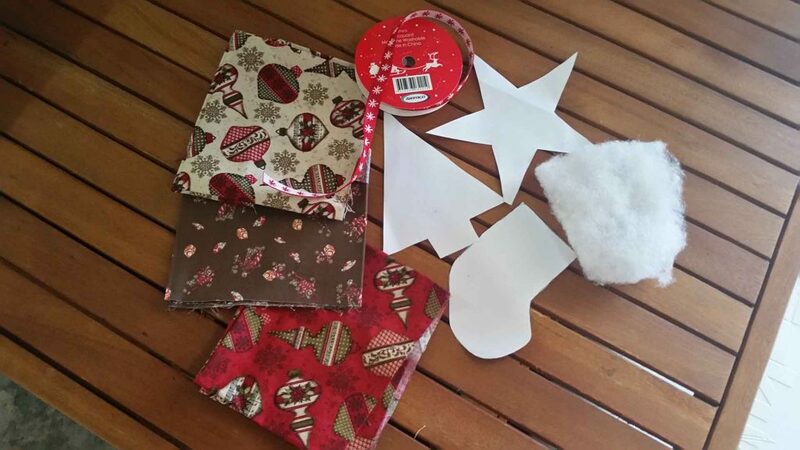 Try using Christmas wrapping paper, old gift boxes you can cut down, festive fabric or old Christmas cards. You can also spray paint the picture frames to match your theme if you wish. Go traditional red, green or white, or maybe something metallic like gold, silver or rose gold. 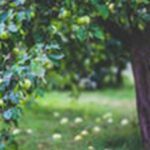 This is really easy and simple – a great project for the kids! You’ll need an old metal clothes hanger and some coloured ribbon of your choice. First, bend the hanger into a circle. Leave the hook at the top as this is used to hang the wreath. Then all you need to do is go around the circle tying the ribbon into bows, until you have completely filled the hanger. Too easy! 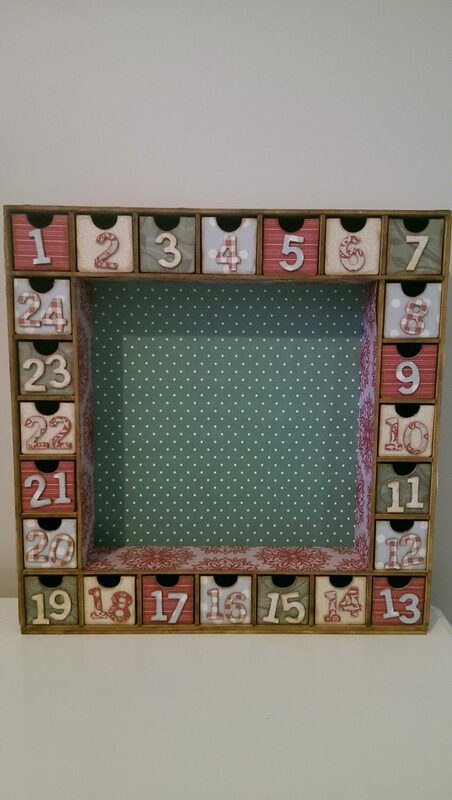 This advent calendar comes as a bare kit in Spotlight, and includes the frame, boxes and numbers. You follow the instructions to assemble and then decorate anyway you like. Here, Em’s used different coloured paper to cover the centre and sides. She’s also covered the front of the boxes with paper, and then glued contrasting paper over the numbers. A light rub of ink around the edges of the numbers gives an aged look. It just needs something to go in the middle. Bit slack Em! All you need is something for the post. I used an old curtain rod that I had lying around and just gave it a fresh coat of paint. For the signs themselves I picked up some wooden stacks from Bunnings (pack of 10). I’m sure that you can pick these up from most hardware stores, or you can use any off-cuts you may have at home. To give it a little something different I spray painted some of the signs and wipe them back with a rag, giving a white-wash look. I used a letter stencil for the writing (just because I can’t write in straight line to save my life). You then just need to attach the signs to the post (a little tricky). I used a nail gun to fix some string to the back of the signs and then tied it to the post. But you can also pre-drill and use a couple of screws, or even some liquid nails. Just remember, if you’re putting the sign out in the weather use something that will hold. 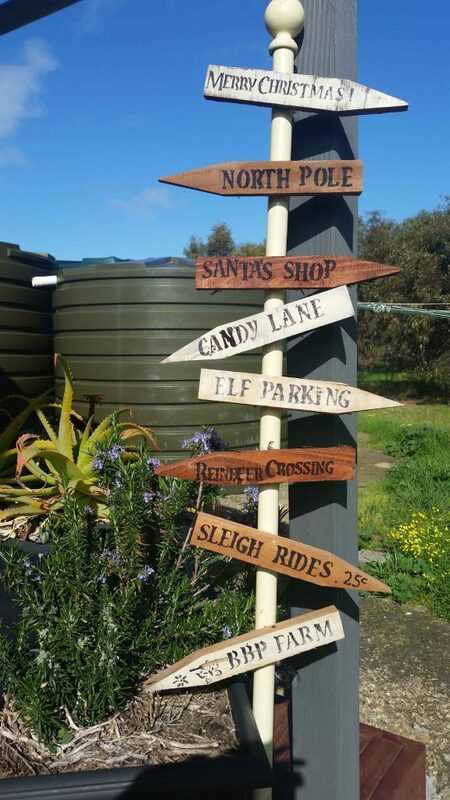 Do you have any home made Christmas decoration ideas?